After meeting weekly for a memoir workshop at a library in Westchester County, New York, eight of us couldn't bear to stop. We agreed to continue meeting and writing together every other Tuesday at a local restaurant that welcomes groups who linger. A diverse group--seven women and one brave man-we continue to write, sharing our lives past and present, encouraging and learning from one another, hating to miss one of our gatherings. 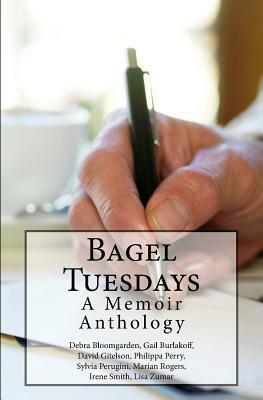 We share some of our stories here in Bagel Tuesdays: Memoirs, hoping that they may resonate with readers of all ages and walks of life.